This premium hi-vis bomber jacket comes complete with a fleece liner that can be removed when not needed, making this jacket ideal for mild and cooler climates. 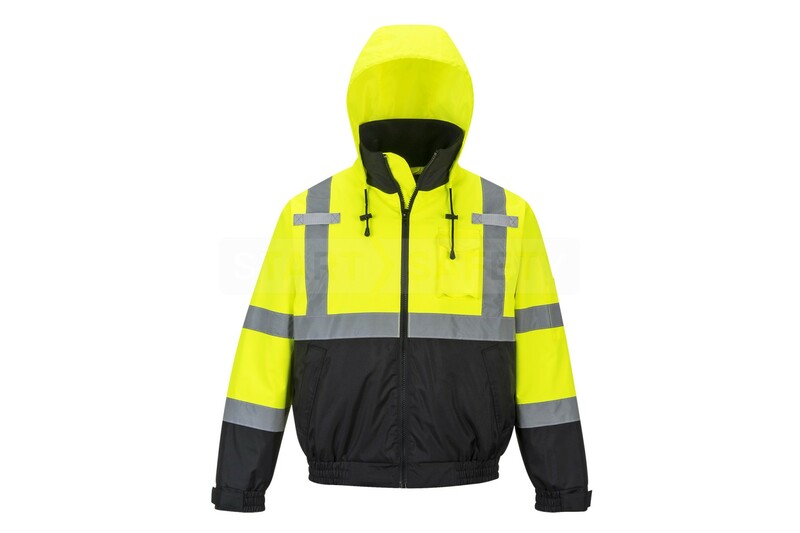 The outer jacket is made from 300D stain and abrasion resistant polyester, which is waterproof and has sealed seams, keeping your workforce dry during rain showers. 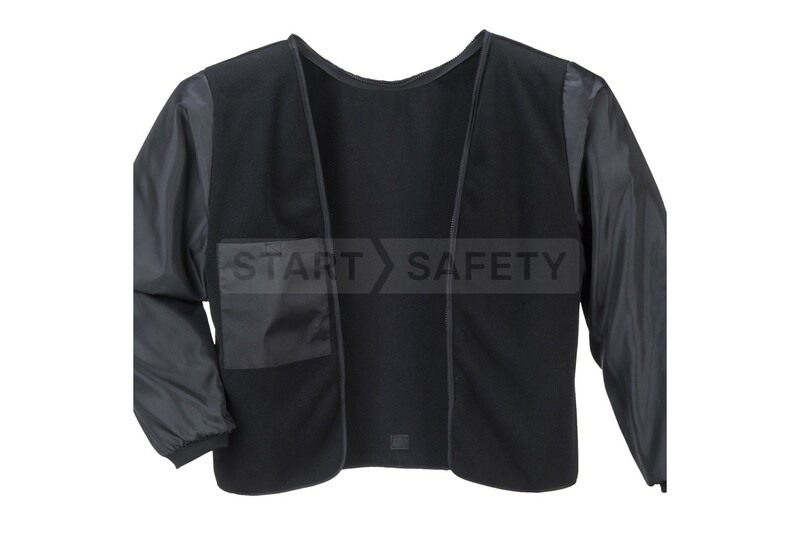 There are two microphone tabs for radio systems stitched into the shoulders of the outer jacket providing excellent hassle free communication. 5 pockets provides storage for mobile phones and other essentials keeping them safe. 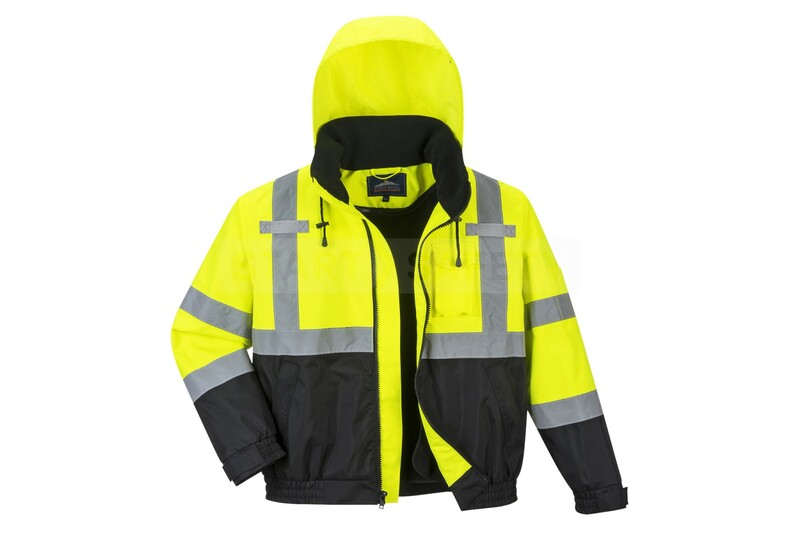 The contrast band makes this jacket well suited to dirty environments protecting the yellow area from becoming stained and maintaining clear outlines of contrast. 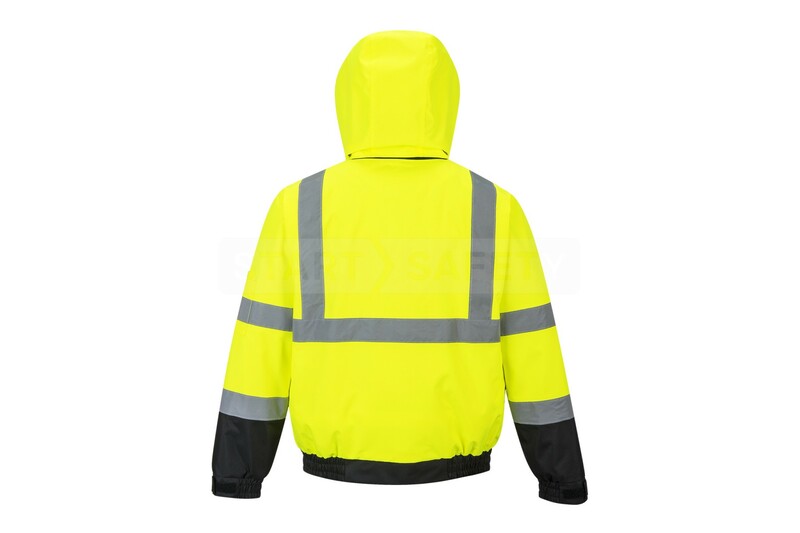 We are able to print this jacket with your logo and company name. Do you have questions about this Premium Bomber jacket? 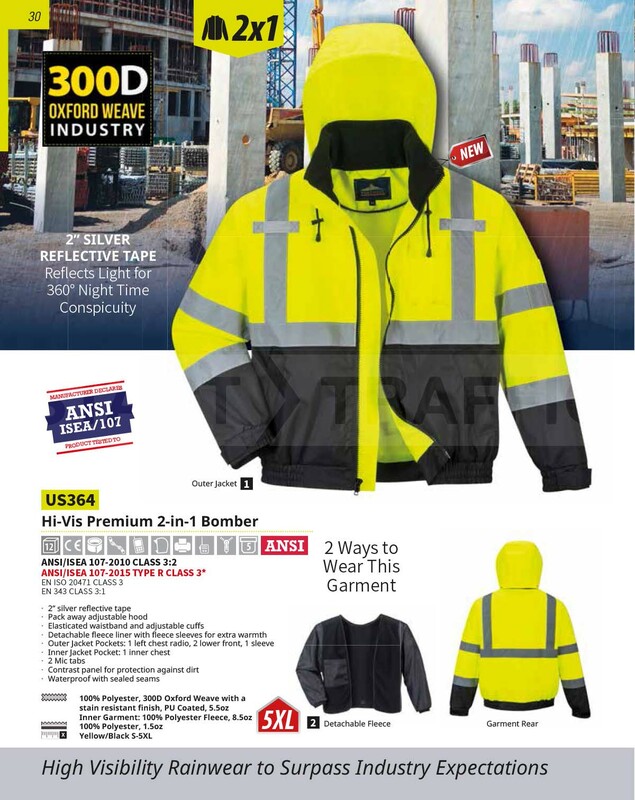 Give us a call and speak to one of our trained sales team, they will be able to assist you in finding the right product for your needs. They would also be happy to discuss any bulk quantities that you may require.